We're excited to announce that clients for whom NMC acted as the primary online campaign consultants went 8-2 in this year's general elections! We had races across the country and are proud of all our campaigns and partners and the efforts they made in their races. We were involved in campaigns ranging from local issues to statewide candidates, and our services included design, development, consulting, SEO, and more. We extend our heartfelt congratulations and appreciation to all of our clients, those who were victorious and those who came up a little short. We have been fortunate over the years to have an extremely high win percentage (over 70%), and we look forward to carrying that experience into the 2012 election season. 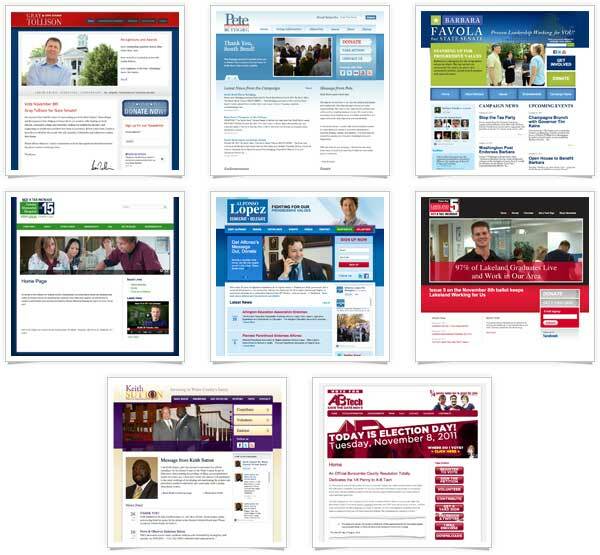 Below is a snapshot of the winning campaign sites and a list of our victorious clients.